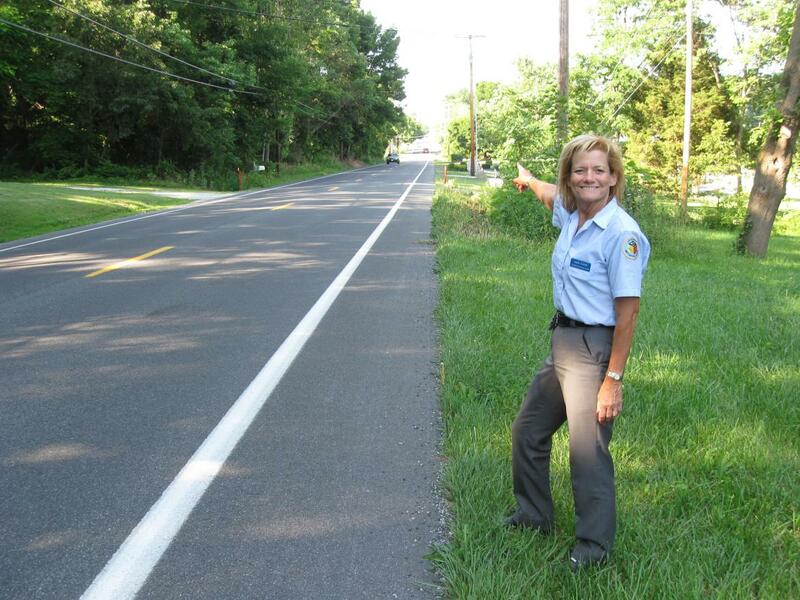 Gettysburg Licensed Battlefield Guide Andie Custer is standing on the east side of the Emmitsburg Road. She is pointing to Wintrode Ridge, which was occupied on July 3, 1863 by James Hart’s South Carolina Battery and later by William Graham’s Battery K, 1st United States Artillery. This view was taken facing north at approximately 5:45 PM on Friday, June 18, 2010. 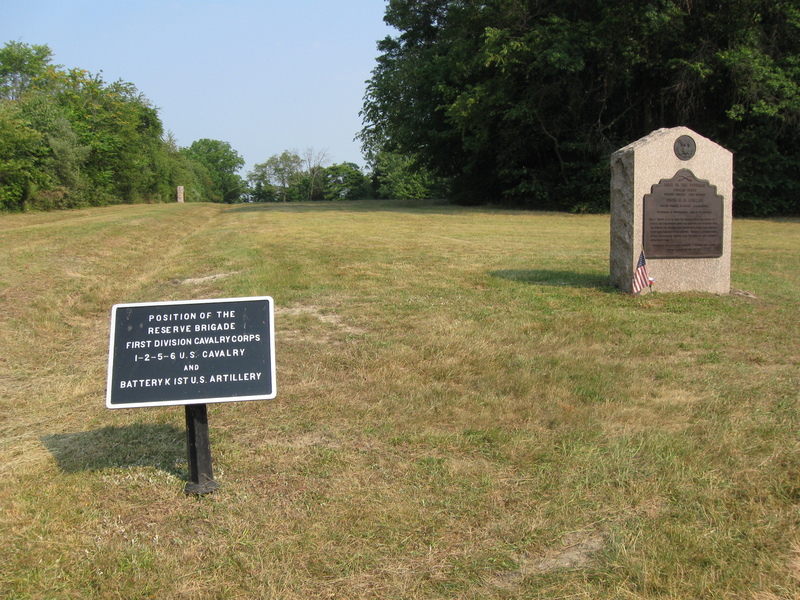 In today’s South Cavalry Field post, Andie Custer shows the area between Buddy Ridge and Wintrode Ridge where the soldiers had to dismount because of the rough terrain, and how James Hart’s South Carolina Battery “leap frogged” along the Emmitsburg Road in order to keep up a constant rate of fire on Wesley Merritt’s cavalrymen. 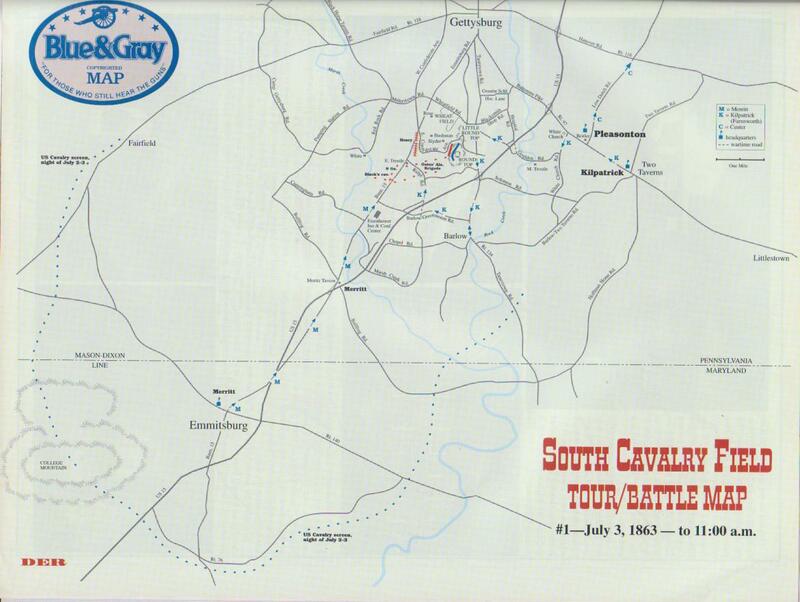 This map shows us the locations taken of the videos for this South Cavalry Field series. Videos #1-#14 were shown in our previous posts. 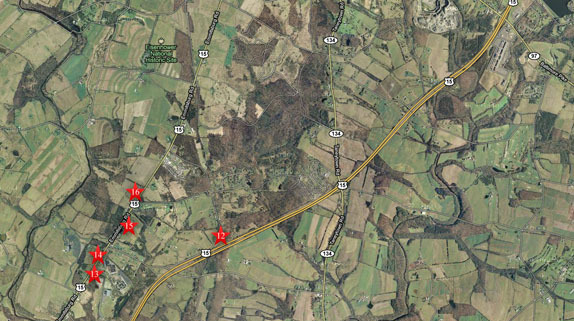 Video #12 was taken at the junction of old Ridge Road with current Ridge Road. Video #13 was taken at the Eisenhower Inn. Video #14 was taken at the McCurdy School on the Emmitsburg Road. Video #15 was taken between Buddy Ridge and Wintrode Ridge. Video #16 was taken on top of Wintrode Ridge. This map was created facing north at approximately 4:00 PM on Wednesday, July 7, 2010. Gettysburg Licensed Battlefield Guide Andie Custer is the host for this series on South Cavalry Field. 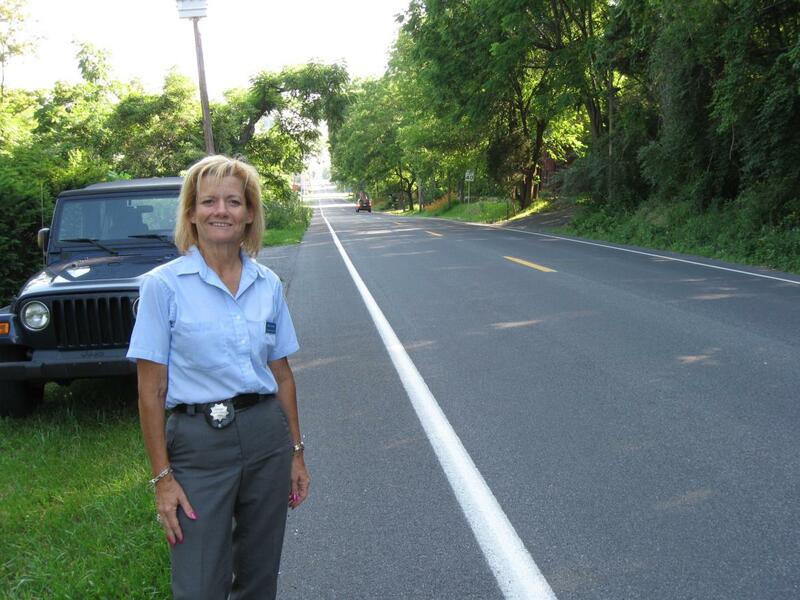 She is standing on the east side of the Emmitsburg Road. The road rises in the background to Buddy Ridge, on which sits the Eisenhower motel complex. This view was taken facing southwest at approximately 5:45 PM on Friday, June 18, 2010. In Video #15 (Videos #1- #14 were shown in our previous South Cavalry Field posts) Gettysburg Licensed Battlefield Guide Andie Custer shows where Merritt’s troopers dismounted as they approached Wintrode Ridge, and explained the makeup of the Confederate unit led by Major John Black. This view was taken facing southwest to northeast at approximately 5:45 PM on Friday, June 18, 2010. On top of Wintrode Ridge is the National Park Service area designated South Cavalry Field. Captain William Graham placed his cannon on this (east) side of the Emmitsburg Road. A marker for Graham’s position is in the left background. The guns would have fired to the left (north) This view was taken facing east at approximately 5:45 PM on Friday, June 18, 2010. In Video #16 Licensed Battlefield Guide Andie Custer is standing on Wintrode Ridge. 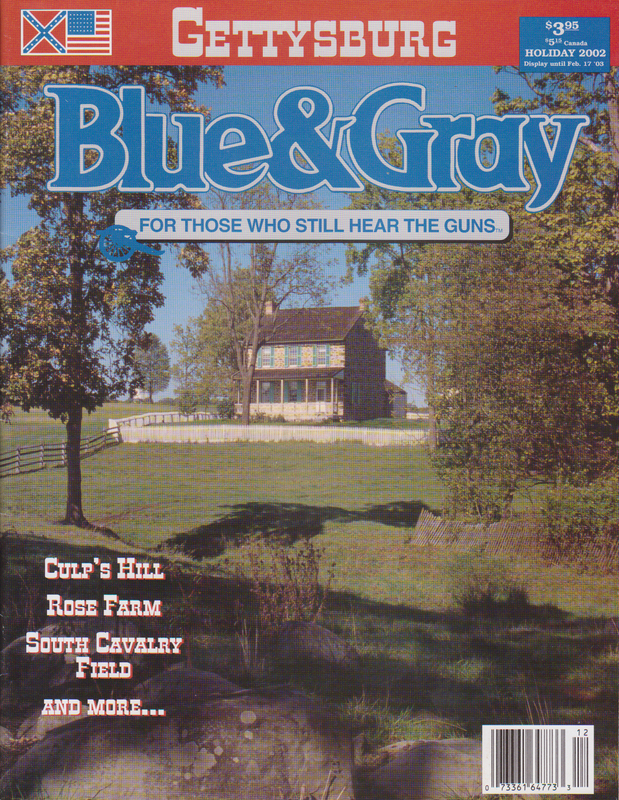 She explains how Captain James Hart “leapfrogged” his guns in the position to keep a constant rate of fire on the Emmitsburg Road and the 6th Pennsylvania Cavalry. This view was taken facing southwest to northeast to southwest to northeast at approximately 5:45 PM on Friday, June 18, 2010.